Congratulations on your release, Jessa! May you go from strength to strength. I think I’m about the same age, so I also remember how there really wasn’t so much in the way of teen lit or young adult back then. I write YA for probably a boring reason, because I was a young person myself when I began writing, and it would’ve made no sense to write about adults when I had no experience of things like marriage, raising kids, and working. I’ve kept writing about young people as I’ve become an adult because it’s familiar, and since I write series books and family sagas, it’s only natural to transition my young people into adulthood and continue following their lives. Fantastic – I spelled Stephen King incorrectly. Some fangirl I am. Sheesh! Hahaha, sistas from anotha mista has a nice ring to it! I think we all go phases and most of us liked Twilight. I don’t mock it but I’m not enthused as I once was, but I don’t still have NKOTB posters hanging on my walls either. Twilight was one of those series that went too long for me–I think my limit is at a trilogy. That 4th book completely killed it for me, but nobody can deny what Stephenie did for YA. Beautiful. Can’t wait to get my copy in the mail. I write for teens cuz to me, it’s the most confusing time and everything is larger than life. To be able to capture that in a story is such a challenge and a thrill and leaves us all feeling a little younger at heart. I love how YA authors make me feel 16 again every day!!! I just love Jessa’s rationale about why she writes YA! I read and write a lot of different genres, but have to admit there is a certain charm to writing about young people on the edge of adulthood. So much turbulence, so much to learn. Every new situation is laden with so much emotion! Your book sounds amazing, Jessa! I’m right there with ya, Kirsten! Everyone spells my name Jaime Ayers, when it’s Jamie Ayres, grr . . .
Great post on why you love YA! I completely agree, though Twilight is not my favourite. I love how you can just plow through really good YA books in one evening because they keep you turning the pages. 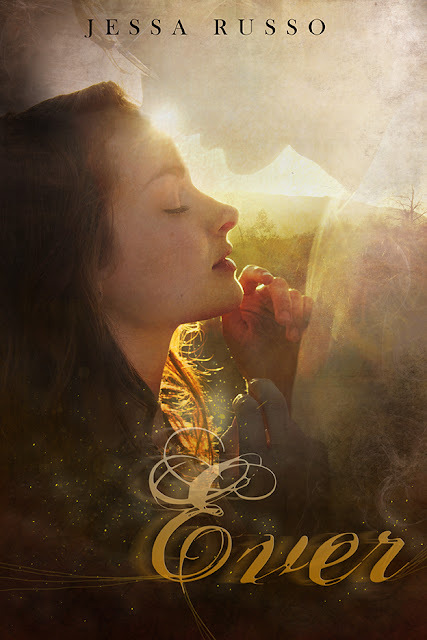 I’m plowing through the Celestra Series by Addison Moore right now–have you read it? Holy S*&%. This is MY story. I’m serious. I read Dean Koontz and Stephen King. I had a baby and stopped reading. And I had a friend push Twilight on me. I read the whole thing in under 2 weeks!! That’s when I started reading more and writing. And I write YA for the same reasons. The creepy, creepy thing??? I was born on August 28th. I write YA because I feel more comfortable and free with younger characters that don’t have everyday adult worries that keep them from having adventures. I haven’t read Twilight. Maybe I should but it just doesn’t appeal to me. I’m trying to remember if “teeny bopper” was conjured up by my generation. Hmm. We’re the same group who brought you “psychodelic” and “groovy”, oh, and “keep on trucking”. Which probably shows we can’t be trusted to comment on Miss Meyer. Okay, I confess I haven’t read her books, but I did see the first movie. And no, I didn’t care that they broke up, but I did enjoy the movie, and now I feel so ashamed I’m going off to borrow the first book. Boy, you two are tough cookies! Whatever it takes to get you fired up about your genre! Congratulations on the new book, Jessa.